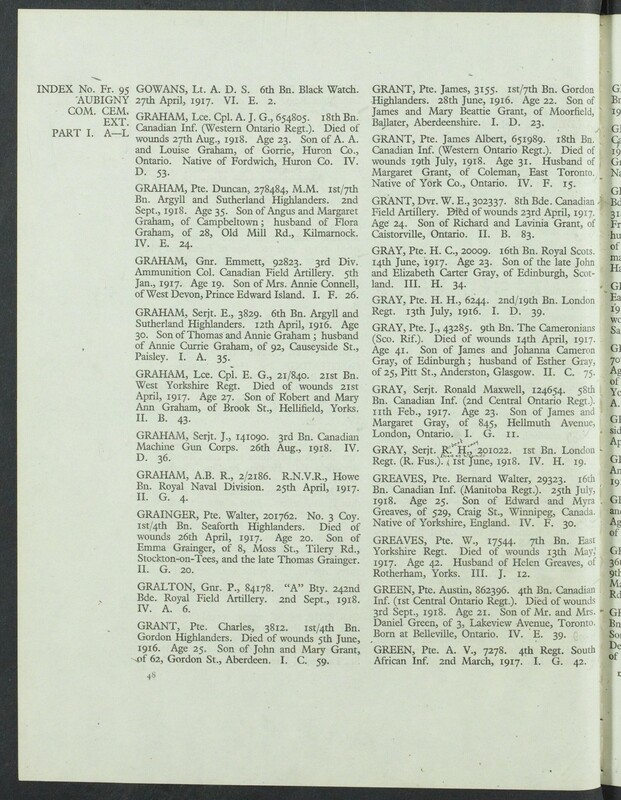 Mrs. Margaret Grant, Dawes road Coleman, has received official notification that her husband, Pte. Jas. 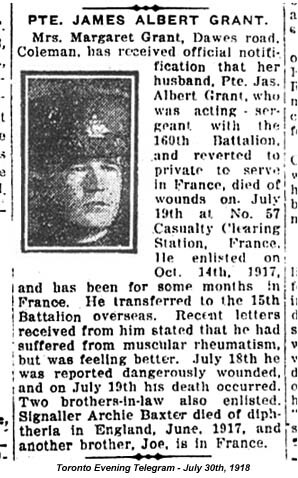 Albert Grant, who was an acting sergeant with the 160th Battalion, and reverted to private to serve in France, died of wounds on July 19th at the not 57 Casualty Clearing Station, France. He enlisted on October 14, 1917, and has been for some months in France. 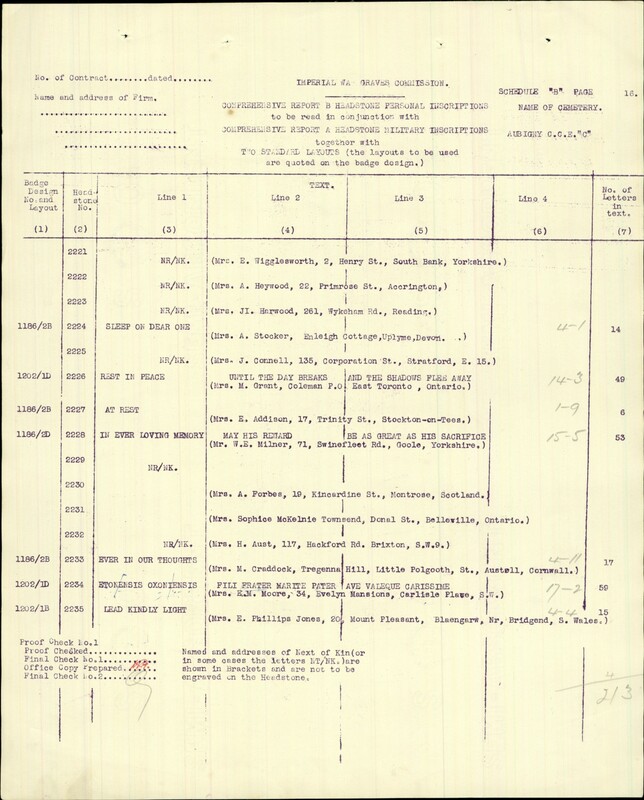 He transferred to the 15th [sic] Battalion overseas. Recent letters received from him stated that he had suffered from muscular rheumatism, but was feeling better. July 18th he was reported dangerously wounded, and on July 19th his death occurred. 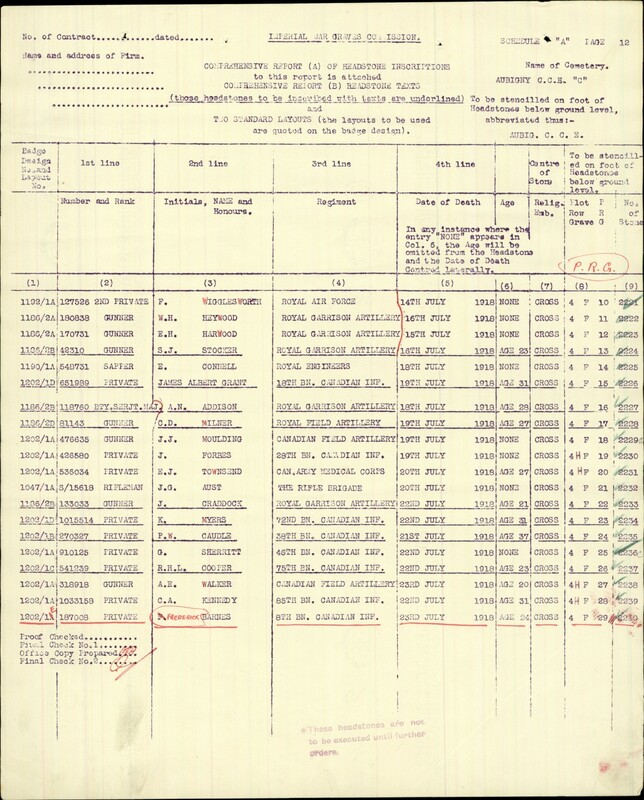 Two brothers-in-law also enlisted, Signaller Archie Baxter died of diphtheria in England, June, 1917, and another brother, Joe, is in France. Toronto Evening Telegram. July 30, 1918. Pte. Grand Died of Wounds. was wounded on July 18, and dies as a result the next day. Pte. 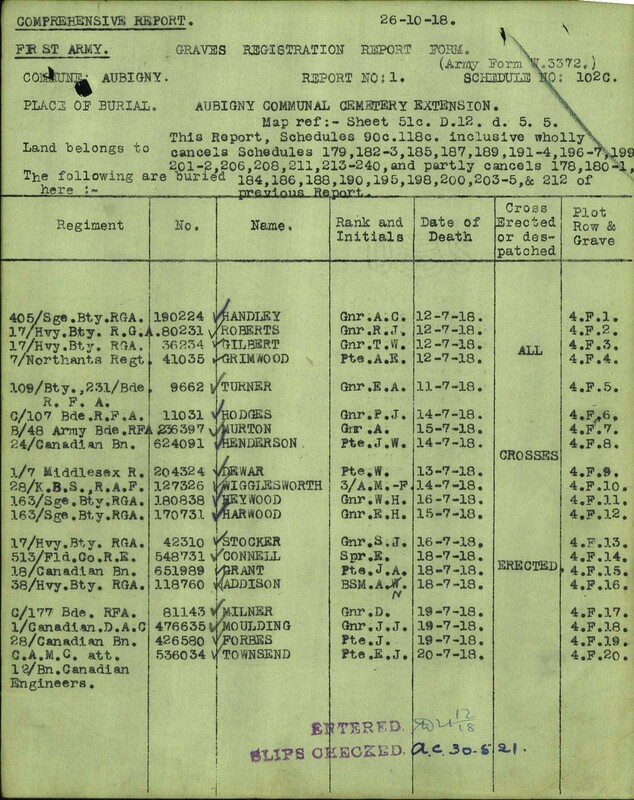 Grant enlisted in March, 1915, with Bruce Battalion, and went overseas in October, 1916, and went to the fron with a draft of the 18th Battalion in March 1917. Pte. Grant was a married man, 31 years of age. 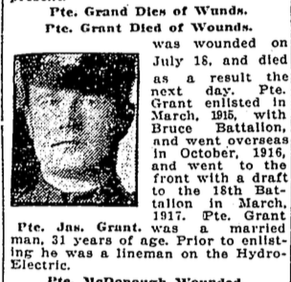 Prior to enlisting he was a lineman for the Hydro-Electric.